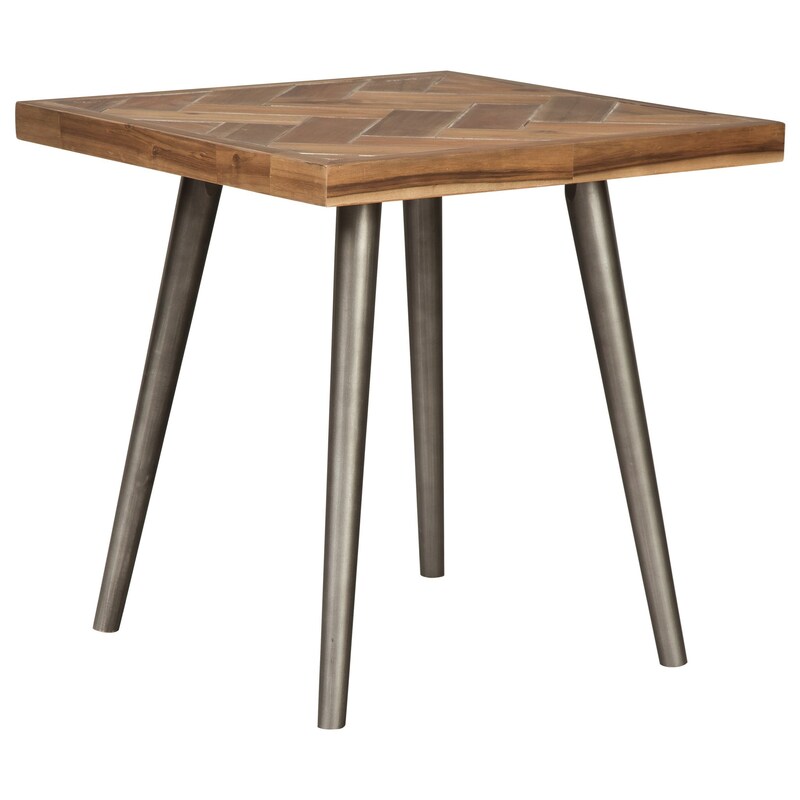 This end table brings fresh contemporary style to your living room. Its top is finished with a natural glazed system and rubbed white wax effect. The unique planked look of the table top paired with metal legs creates the refreshing contemporary style for this square end table. The Vantori Contemporary Square End Table by Signature Design by Ashley at Sam Levitz Furniture in the Tucson, Oro Valley, Marana, Vail, and Green Valley, AZ area. Product availability may vary. Contact us for the most current availability on this product. This collection matches wood with metal to create a refreshing contemporary look for your living room. The natural glazed system finish on these pieces highlights the natural grain and beauty of the table tops. At home in any design style, this collection is sure to add a welcoming dash of contemporary style to your living room. The Vantori collection is a great option if you are looking for Contemporary furniture in the Tucson, Oro Valley, Marana, Vail, and Green Valley, AZ area. Browse other items in the Vantori collection from Sam Levitz Furniture in the Tucson, Oro Valley, Marana, Vail, and Green Valley, AZ area.